Hypothyroidism is an endocrine problem caused by an underactive thyroid gland. Since the thyroid hormone is required to maintain our body metabolism; if the thyroid gland is not providing enough of the hormone, it requires a hormone replacement. Synthetic levothyroxine is the most common form of thyroid hormone replacement therapy. Before pure levothyroxine became available, desiccated animal thyroid extract was the only treatment for hypothyroidism. Today both are available by prescription only. What is natural desiccated thyroid? Natural means that it is from a natural source. In this case, it will typically come from pig thyroid, also known as porcine thyroid. Desiccated refers to something that has had its moisture removed. Thyroid means that it is a thyroid hormone. It is believed that pigs produce thyroid hormones biologically similar to that found in humans. Porcine thyroid contains all four thyroid hormones that our bodies make – T4, T3, T2, and T1. According to verywellhealth.com, the ratio of T4 to T3 in pig thyroid is 4 to 1, while the ratio in human thyroid is 14 to 1. Synthetic thyroid options, however, contain only T4. The symptoms of hypothyroidism are attributed to insufficient T3 within the cell. The human body must convert the T4 into T3 in order to eliminate the symptoms of hypothyroidism. According to Hugh Melnick, M.D., F.A.C.O.G., in 25%-40% of patients, this does not happen; so, they continue to exhibit the symptoms of hypothyroidism because their cells lack adequate amounts of T3. On March 28, 2013, a study was published by the American Thyroid Association comparing desiccated thyroid extract with synthetic levothyroxine in the treatment of hypothyroidism. In a double-blind study, 70 participants were divided into two groups. Each group was given one treatment for 12 weeks and then the reverse treatment for 16 weeks. Results showed that weight loss was greater following use of desiccated thyroid extract while there was no difference in psychometric testing or in any symptoms. Both types were able to restore thyroid blood tests to normal. 49% of the participants preferred desiccated thyroid extract. 19% preferred levothyroxine and 23% had no preference. The use of desiccated thyroid extract has been controversial in the medical community since it came on the market during the mid-1900s. Many physicians believe levothyroxine to be more consistent and stable although there are brands of desiccated thyroid extract that are standardized to less than 2% variability. Yet, as awareness of the natural option grew, patients and holistic physicians began to request desiccated thyroid extract and the number of prescriptions for the natural form increased. Today, there are several million prescriptions per year written for desiccated thyroid extract compared to over thirty million per year for synthetic thyroid hormone replacement. 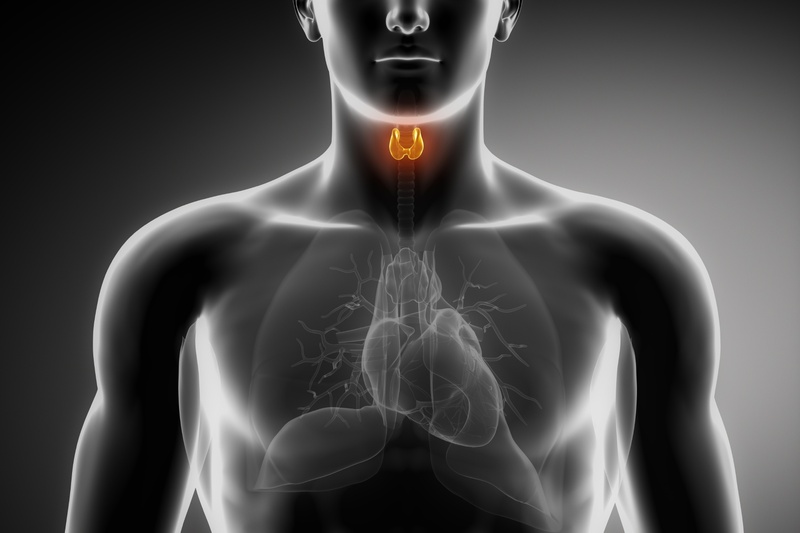 In a recent survey, it was found that 30% of hypothyroid patients are now taking an alternative to levothyroxine. Physicians may prescribe whichever form works safely and best for each patient since some patients feel better on one form than the other. Due to lack of exposure, many physicians and patients are unaware or fearful of desiccated thyroid extract as an effective treatment for hypothyroidism. The treatment, however, has been safely used for over 100 years. Perhaps patients who continue to experience symptoms related to poor thyroid function while being treated with synthetic thyroid may find relief with desiccated thyroid extract if they can find a physician who will prescribe it.